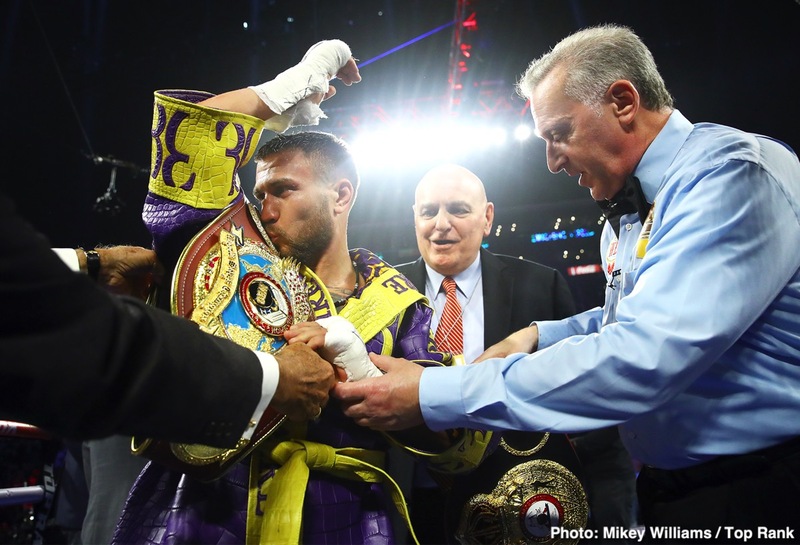 As was widely expected, lightweight king Vasyl Lomachenko proved to be way too much for a brave but out of his depth (who isn’t against Loma?) Anthony Crolla. 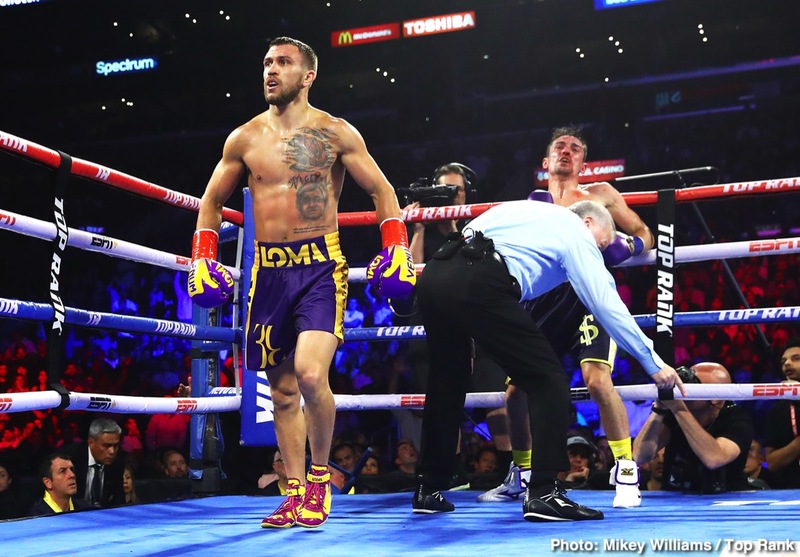 It was a no-nonsense Lomachenko on display in Los Angeles last night, a ruthless punching Lomachenko. 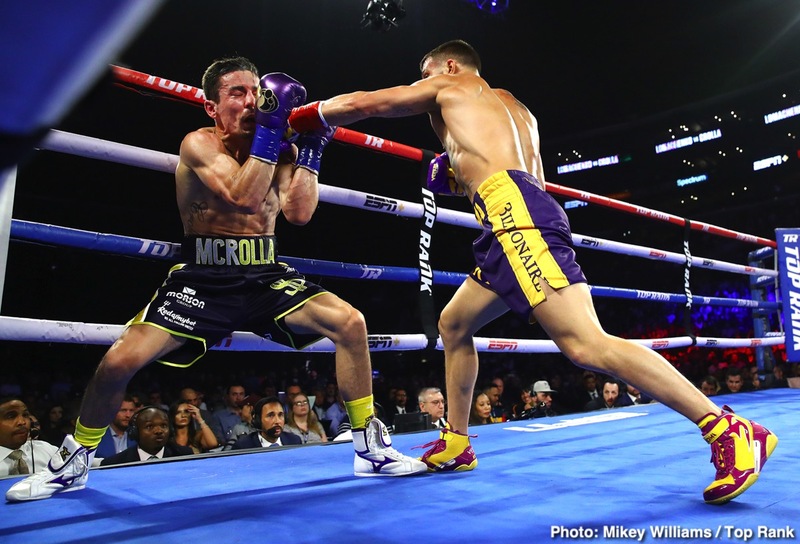 Crolla took a fearful hammering and was stopped, devastatingly, in round-four. 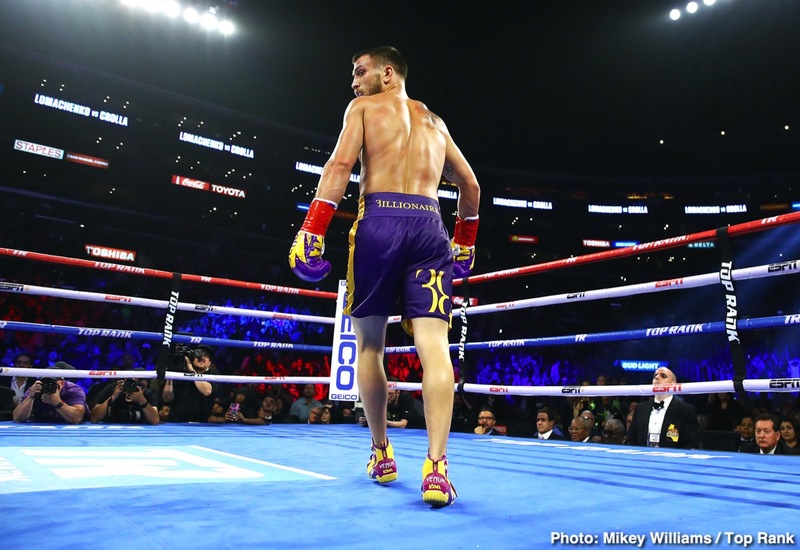 Crolla has spoken about the possibility of retiring, if not immediately then soon. As for the all-conquering southpaw from Ukraine, fans are already looking ahead to the Ring Magazine/WBA/WBO 135 pound king’s next move, his next fight. 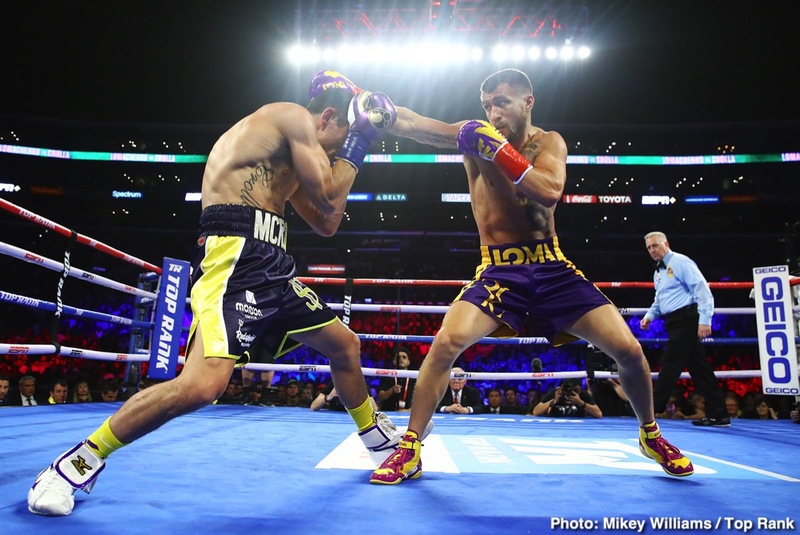 Lomachenko wants to become undisputed ruler at the weight and he has again called out Mikey Garcia. Garcia, despite the hammering he took from the far too big Errol Spence, is still a world champion, the WBC lightweight champ. And Lomachenko wants that belt. 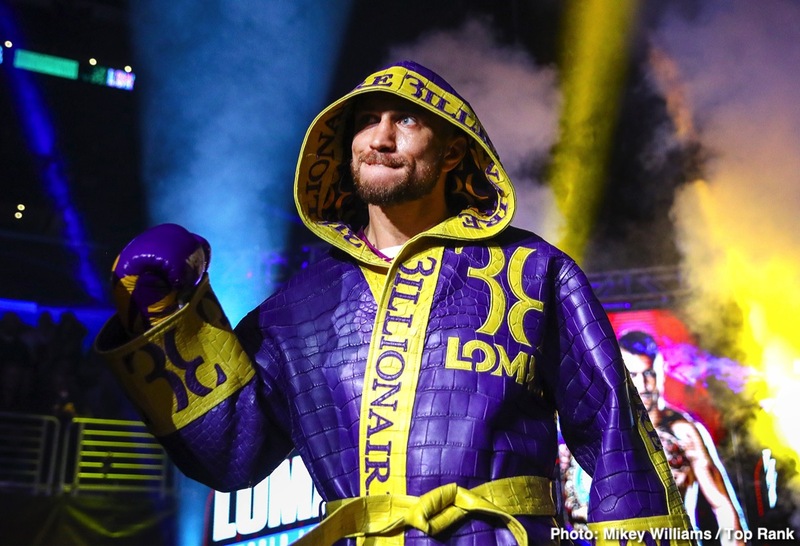 This is the fight we may or may not see next, but Lomachenko has also expressed interest in having a fight in the UK, perhaps against Luke Campbell. But as special as Lomacheko clearly and obviously is, would either of these two be capable of giving Lomachenko a serious challenge? No disrespect to Campbell, but it isn’t all that difficult to envisage “Hi Tech” doing a similar job on Campbell to the one he did on Crolla. 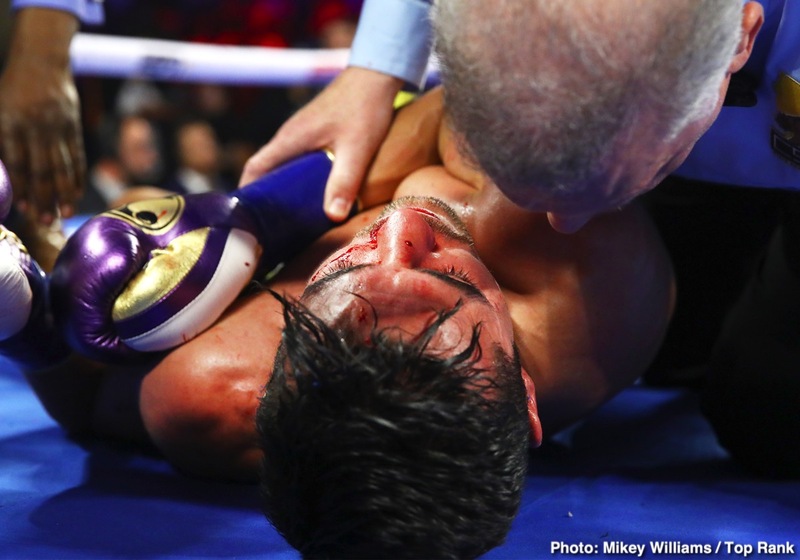 As for Garcia, we have yet to find out if the punishing loss to Spence took too much out of him. But if it isn’t one of these two next for the pound-for-pound king, then who? 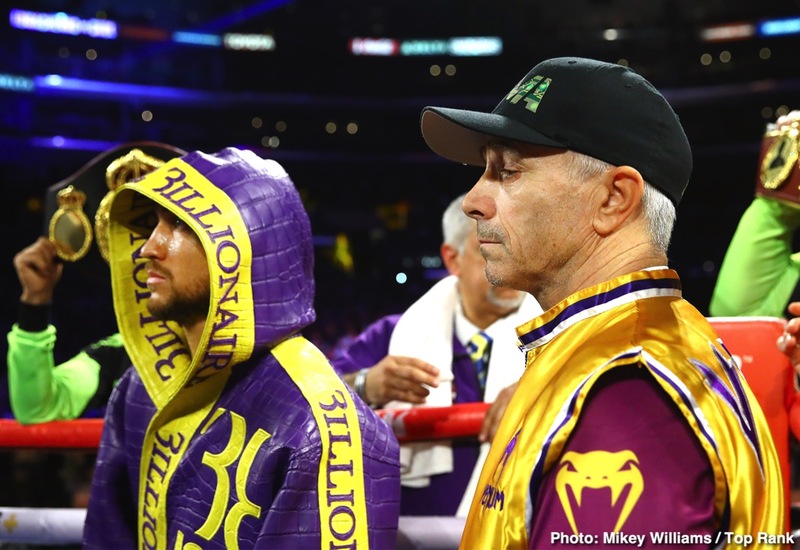 Maybe Gervonta Davis will take the big step up, or maybe Lomachenko will go for the IBF lightweight belt that is currently held by Richard Commey (who was supposed to fight Loma last night, yet suffered an injury and was unable to do so). 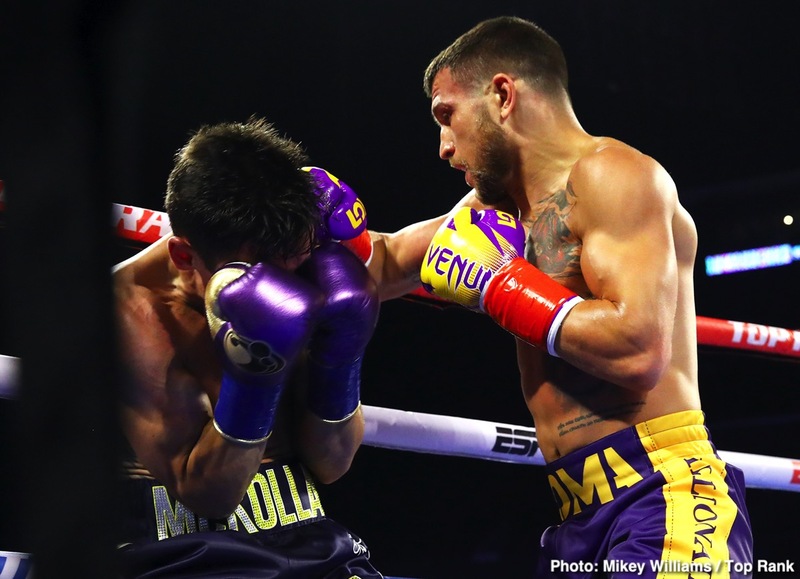 Either way, though we may not see the enormous odds that were listed next to Crolla’s name, it will certainly be underdog status for whoever it is that next faces Lomachenko at 135 pounds. 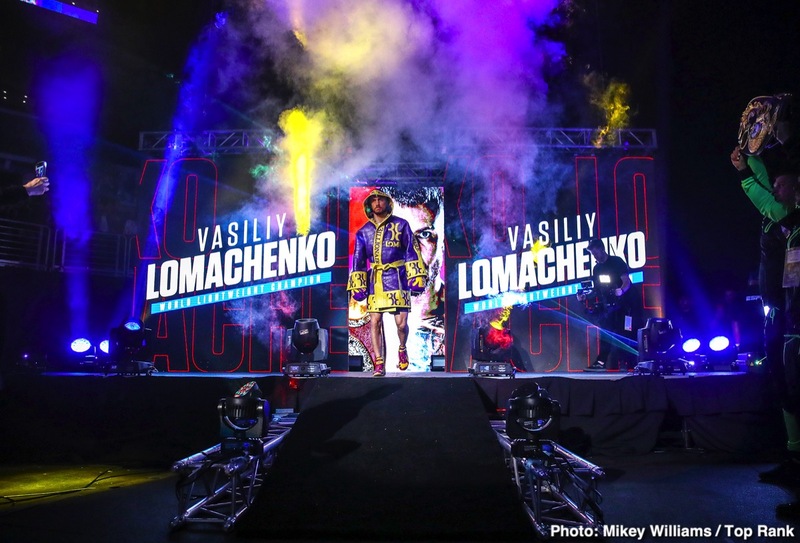 It seems odd asking the question, ‘can anyone beat Lomachenko?’ when he has in fact already lost a pro bout (to the granite-tough and tricky Orlando Salido, seemingly an age ago now), but we are not talking about an ordinary fighter, far from it. Will Lomachenko, 13-1(10) ever lose again is a better question. 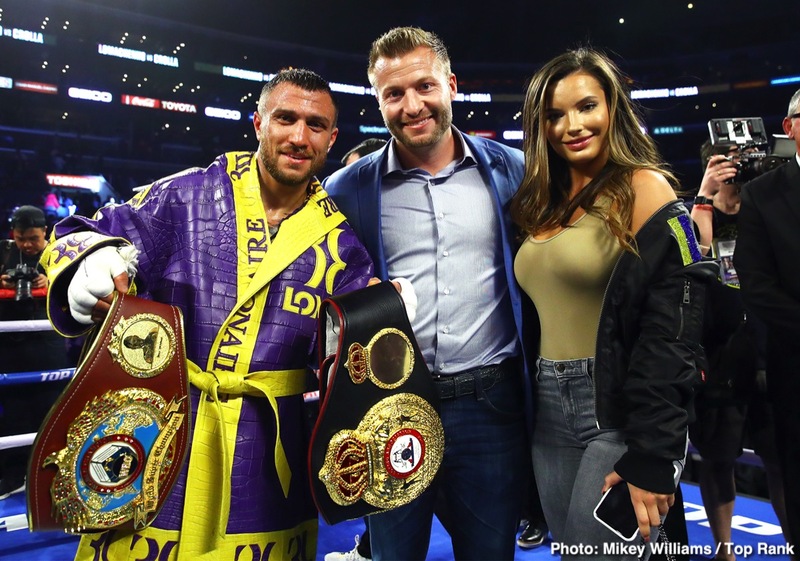 You are here: Home / Boxing News / What Next For Dominant Vasyl Lomachenko?